Kia Motors today announced its mid- to long-term plans for the development of a greatly increased range of environmentally friendly vehicles. The brand's 'green car roadmap' sets out Kia's ambition to become a leader in the low emissions car market by 2020. 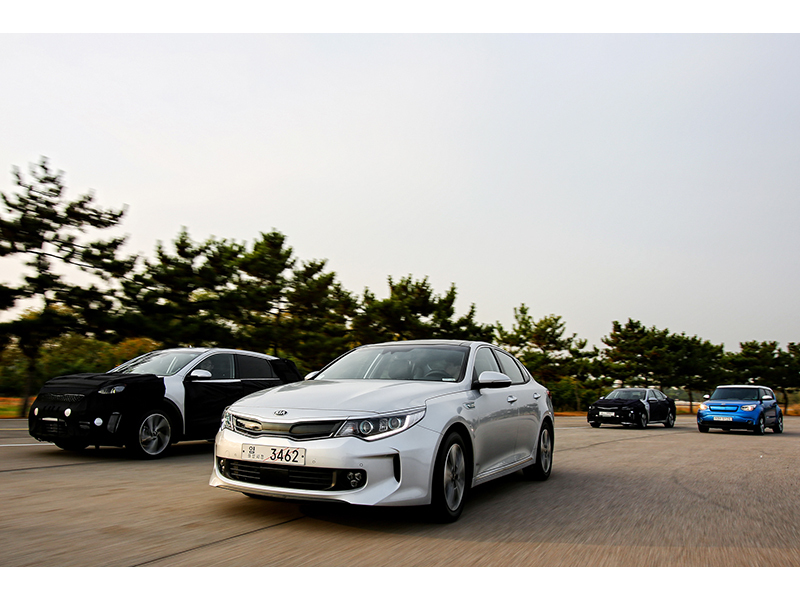 The new investment by Hyundai Motor Group, Kia's parent company, totals 11.3 trillion won (US$10.2 billion), for the development of a range of new eco-friendly models and building the facilities required for the brand's efforts to further reduce its CO2 output. The investment is likely to result in the creation of thousands of new jobs in domestic R&D positions. Ki-Sang Lee, Senior Vice President, Eco Friendly Vehicle R&D Center, Kia Motors Corporation, commented, "Global market demand is shifting to electric vehicles, with oil prices predicted to rise in future. The electric and plug-in hybrid vehicle market will grow rapidly in the coming years, and this investment will enable Kia to meet the growing demand with a range of advanced new products and technologies." Lee added, "We don't believe that there is any one 'silver bullet' that can satisfy the demand for low emission technology within the car industry, so we foresee a wide range of eco-friendly powertrains co-existing for an extended period of time. The plans we've announced today represent Kia's ambition to become a worldwide leader in advanced propulsion technology."